High-technology factory allow to produce a wide line of proppants for any geological conditions, including oil&gas fields of Russia, Middle East, Latin America and the countries of Africa. The proppant quality is regularly proved and certified in the independent laboratories FracTech (UK) / Stim Lab (USA). Production of chemical reagents for oil stimulation, oil field chemicals, drilling chemicals and reagents for oil transport. Nika PetroTech company carries out both internal quality control at all production phases, and an independent control for obtaining industry certificates and permissions. For providing of complex service the Nika PetroTech company incorporates scientific technical division which collects and analyzes of well operational characteristics to form a unique approach to their treatments. 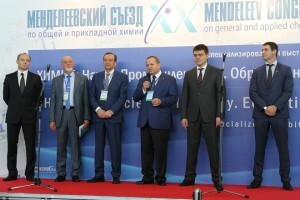 Scientific activity of Nika PetroTech is conducted on the basis of the Russian Academy of Sciences. 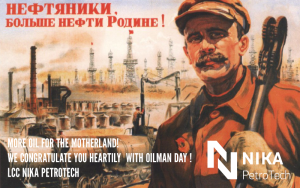 4th of September is oilman day!